The founder-CEO talks social media & its impact on his company and customers. Back in December, I interviewed Lionel Menchaca for this SAP Survey of Social Media's impact on culture and business and was impressed with his passion, transparency and commitment to conversations with customers. I was left with the impression that "Dell gets it." The company understands the fundamental changes brought about by social media and in so doing has transfomed a recently hostile audience into one that is on Dell's side, rooting for it in the marketplace. But how high up does that commitment go? Are Dell's increasing stockpile of blogs just the work of middle management or are the people steering the company committed to social media as well. Is blogging a smart play or a strategic initiative, I wondered. So,I badgered Dell's affable PR guy, Richard Binhammer for an interview with the guy who's name is on the company logo. Michael Dell has answered 10, occasionally tough, questions below with candor and clarity. I believe it is the longest and deepest interview on social media ever conducted with a CEO of a Fortune 100 company. I am admittedly impressed with what he has to say, but I'll let you decide for yourself. 1. I imagine 2005 and 2006 were not your favorite years. Customer disaffection began to appear in blogs in late spring of 2005. They, of course, reached a crescendo with Jeff Jarvis famous "Dell Hell" post in August '05. At what point did you become aware of anti-Dell blog posts? What was your first response to blog criticism? Just to put this in perspective, we've been listening closely to what our customers have been telling us since 1984. We listen in person, by phone and, in 1995, we started Dell.com, realizing the long-term importance of the Internet for our direct business model. About 1.6 million customers visit us every day online and our teams do their best to understand what's on our customer's minds at all times. With respect to 2005 and 2006, I don't think there was any single event but rather a series of events that came together. The marketplace changed, global markets expanded and there was tremendous growth in the blogosphere. What's most important, in the long run, is how we learn from any situation and improve the customer experience. The reality is that my response to finding out about a customer's problem with our equipment is the same today as it was then – let's resolve our customer's issues as quickly as possible and let's learn from each opportunity and get better every time. I care about our customers and our team knows that it's not unusual for me to send an email at any time of the day or night where I ask them to figure out an issue ASAP. Every customer is important to me. 2. At what point did you start considering blogs as a strategic issue? Well, when you look at the world and see that the number of people online will double from 1 to 2 billion in a few years, it makes a compelling case for understanding where this growth is occurring and what it means. Our goal is to join the conversation and speak directly and candidly with our customers. The more we engage, the more we learn and the better we can do for our customers. Our teams have been exchanging information with customers online since the late 1980s with listservs, for example. By early 2006, we had established the Online Community Outreach team, a group of tech support experts that reaches out to bloggers around the world who have questions or may require assistance. Direct2Dell was launched in July, 2006. Later that summer, we expanded blog outreach to include any conversations about Dell. We then launched StudioDell in September and then early in 2007, the IdeaStorm site was launched. So, we've done lots but we're just getting started. We also see a tremendous opportunity to partner with our customers to improve the world we all share. This has led to our global recycling program where any consumer anywhere in the world can recycle equipment for free with us. It led to the formation of Plant a Tree for Me, which allows our customers to offset the carbon equivalent of their computer for a small contribution to buy a tree. And, most recently, we launched Regeneration.org as part of our commitment to become the greenest technology company in the world. This site just completed a really cool graffiti contest that was on Facebook and had more than 1 million people vote on the best digital paintings of the environment. We believe that when we join forces with our customers, we can really make a difference. 3. Can you tell me how the decision evolved for Dell to start blogging? Who actually made the call? What was your role in it? I asked why we didn't reach out to customers on the Web if they had issues and then, once we had that in place, I asked why we didn't have a company blog to further connect proactively with customers. But all credit goes to our team who really took the initiative to make it happen. 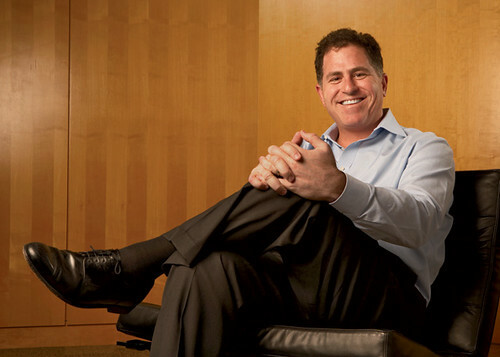 And once we get going at Dell, we are absolutely committed to being best in class worldwide. 4. What outcomes did you expect from starting social media programs? Has they gone the way you expected it to go? You know, people talk about social media programs but I just think about conversations with customers. We have hundreds of millions of them every year. We listen on the phone and in the offices of our customers. Why not improve our online listening skills and the number of ways we can do it? We want our customers to walk the hallways of Dell. From our engineering labs to manufacturing plants to service and solutions teams. This means that when we're making decisions, we're always thinking about our customers. We're appreciative of our customers on IdeaStorm who encouraged us to broaden the availability of Linux systems to include consumers. We actually made more than 35 business improvements related to IdeaStorm last year and we expect to do a lot more in the future. We are sharing our thoughts and ideas now in forums or blogs in Chinese, Spanish, Korean, Portuguese and Norwegian and we'll continue to increase our outreach in the near future. There's more work to do and there always will be. But the most important point is that we are very committed to joining the conversation with our customers wherever they may be in the world. 5. What has Dell learned from blogging? How has it changed product and policy? Well, we were one of the first companies to have an online policy that insists on complete transparency by Dell employees. Our team members must always identify that they are from Dell when they speak online. I believe our teams like the opportunity to speak directly to our customers with video clips on Direct2Dell, when we introduce new products. You can see this is now the standard way we introduce new products. Our engineers didn't always get a chance to speak in the past, but now it's easy. When we have an issue, we act quickly and we use Direct2Dell as a central point for clarity. If you look at the battery recall, we shared continual updates on our progress. In the future, you'll see us continue to innovate in how we share our product stories. 6. How do you think blogging has changed Dell's corporate reputation? You'd have to ask our customers. We don't own our reputation we just own our actions. That's something our customers give to us in return for us exceeding their expectations. For me, the question is has it improved our business performance? And the answer is yes. But as I said, we have plenty more to do. 7. While Direct2Dell gets a good deal of attention, Dell has a couple of other significant blogs, IdeaStorm lets users tell Dell what they'd like and DellShares is a space for investor conversations. What value have these two other blogs had for Dell so far? Ideastorm is incredibly powerful. The Linux community showed how this tool can not only get attention, but lead to change. We brought back XP as an option for customers who wanted it. We reduced trialware and we get to listen to our customers discuss ideas in real time. I can't think of a better way for us to know what's important. We can't act on every idea nor should we, but the dialogue and debates are well worth it. With DellShares, we want to make it easier to receive financial information. We will do our best to discuss what is on the minds of our investors. 8. Have you ever considered starting your own blog or posting on any of Dell's blogs? Why or why not? Yes. We talk about it often. Watch this space :) Our team also does a good job of capturing some of my speaking events online. 9. How has blogging changed Dell's culture? It reinforces how important it is to listen to our customers. And, when we see an issue in real time, we have only one choice and that is to solve our customer's issue and quickly too. I believe it's improved our reaction time, reduced our time to learn new critical information and made us a better company. The blogosphere helps accelerate many of the great traits of folks at Dell. We have always cared deeply about our customers. With the blogosphere, it gets constantly reinforced to us how important it is to act quickly and accurately to share thoughts, solve problems and provide innovative solutions. 10. What advice do you have for other public sector companies considering social media strategies? Actually, we do. And we often share our learning with our commercial customers. I think a strong company is one that constantly learns. One of the best ways to constantly learn is to really listen to customers. The rapidly changing tech landscape makes it efficient and easier than ever before to listen, learn and connect with customers. 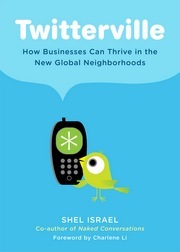 The emergence of social media is a tremendous opportunity to bring the "outside" in to your company.